Looking for great advertising opportunities? Advertise on MyMurrieta. Sponsor our efforts and gain massive exposure for your business or organization. We have several ad space options and some advanced features that you won't find elsewhere. 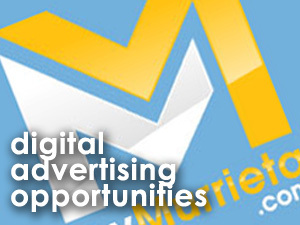 Download our comprehensive Media Kit to learn more about digital advertising opportunities. Advertising has two distinct advantages. First, you will generate traffic by attracting interested visitors within your geographic region. Secondly, advertising helps to build your brand. As people see your company name, logo, distinct colors, or message, they will begin to become familiar with it. The more often your brand is seen, the greater the chance of it being recognized. Recognized brands become trusted brands.